Good afternoon to all GF readers, I recently got an e-mail coming from the Associated Labor Unions Policy Advocacy Officer. The e-mail is all about the TUCP statement on the 30-peso wage increase for workers in NCR, a news released dated on May 18, 2012. 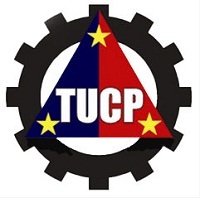 The reason why I posted here the TUCP statement on 30-peso wage increase is just because I am also a worker and I want to share the information that I think many of us must need to know. “TUCP President Atty. Democrito “Kito” Mendoza welcome the integration of the 22 peso COLA per day. This is beneficial to workers in the computation of overtime pay, holiday pay, premium pay, night shift pay, 13th month pay, retirement pay, etc. However, we have mixed feelings with the increase of 30 pesos in two tranches. We will challenge this and file an appeal at the appropriate time. We petition for a 90-peso wage increase to narrow the gap between the basic minimum pay of 426 pesos and the family living wage in NCR which is 993 pesos. It is very clear that the wage board does not seriously take into account the lives of the workers. What they did in this instance is to heed the profit-oriented employers. MEMBERS of the Nagkaisa, a new coalition of big labor centers and workers’ organizations, are not happy with new wage order granting Metro Manila workers a P30 daily cost of living allowance (COLA). “The increase clearly indicates the government and employers’ token concern to the workers. This little COLA satisfies only a third of the petition and brings the workers no nearer to enjoying a family living wage mandated by the Constituion,” said Nagkaisa! in a statement sent to media. On March 16, Atty. Democrito Mendoza, president of the the Trade Union Congress of the Philippines (TUCP) filed a 90-peso wage increase petition before the NCR wage board. More than 45 trade union and labor organizations under Nagkaisa! supported the petition of TUCP. Nagkaisa! maintains that even with the new wage order, employers still owe workers in Metro Manila with 537 pesos in basic minimum pay. Records from the government’s National Wages and Productivity Commission (NWPC) showed that by the end of 2011, the minimum family living wage (FLW) is 993 pesos while current daily minimum pay is 426 pesos or a gap of 57%. In 2001, the FLW was estimated at 509 pesos while the basic minimum pay was pegged at 265 pesos or a gap of 244 pesos, or 52%. FLW is defined as the minimum amount needed for a family of six members to meet their food and non-food needs plus 10% allocation for savings. The FLW include expenses for food, house rental, electricity, water, and transportation. Nagkaisa! also finds as insulting the way the new COLA will have to dispensed -- in two tranches in between two quarters. “The wage boards have really mastered the art of promoting a ‘sachet economy’ by doling out wage grants into small packages. This reinforces our position that the mandate of regional wage boards needs a serious review and reconsideration since for the last 20 years, the have put more premium on employer’s ‘capacity to pay’ rather than on a worker’s ‘capacity to buy’,” explained the coalition. Aside from the 90-peso wage petition at the regional wage board, Nagkaisa! is also supporting all legislated wage measures filed in Congress as well as proposals to enact a new wage fixing mechanism in place of deficient, moribund wage boards. Founded by dock workers in 1954, the Associated Labor Unions (ALU) had since been the country’s pioneer in championing the ideals of free trade unionism. Along with its affiliates, partners here and abroad, and an alliance with the Trade Union Congress of the Philippines (TUCP), ALU has been steadfast advocate of the plight of the toiling masses working in various industries and sectors. The ALU partners with Building and Woodworkers International (BWI) in working towards asbestos ban and phase out in the Philippines. The partnership works to eliminate asbestos-related diseases found in public and private infrastructures and buildings such as homes, schools, work places, churches, malls, including power plants. As a pioneering unions in the Philippines, the ALU works toward ensuring the rights, interests and welfare of regular and non-regular workers and makes sure these are promoted and protected i.e. security of tenure, freedom of association and collective bargaining or collective negotiation and providing limits in the duration and renewal of employment contracts of non-regular workers to enable them enjoy the benefits accorded to regular workers. If you have further question or any feedback about the statement above, please contact the numbers posted on statement. I think they all know the answer to your question about here. Comments or suggestions about "TUCP statement on the NCR 30-peso wage increase" is important to us, you may share it by using the comment box below.